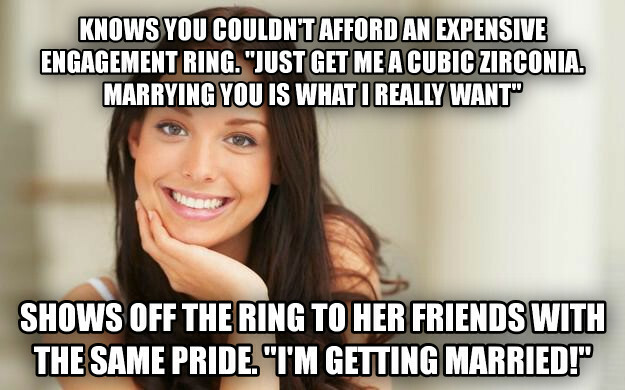 knows you couldn't afford an expensive engagement ring. "just get me a cubic zirconia. marrying you is what i really want"
shows off the ring to her friends with the same pride. "i'm getting married!"